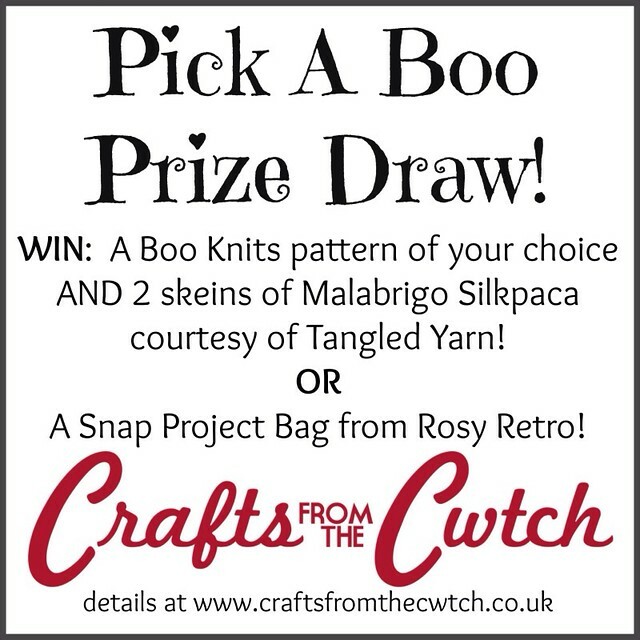 In fact, the first prize is not just one pattern - Bev is happy to include the collection that your chosen pattern comes from! To sign up for the Kal and enter the prize draw come on over to the CftC Ravelry group where people are already introducing themselves and CASTING ON!!!!!! The Knitalong runs throughout July and August so you have time to get your supplies or finish any other urgent WIPs and still join in. If you're tweeting or using Instagram, remember to tag your posts with #pickabooKAL so we can find them. Happy knitting, everyone! Yippee on 50 participants and what cute sponsors you have! Ho'omaka'i.